Although not a lot is yet known about the newly introduced Blackberry 10 Platform, many mobile application developers and mobile application development firms are raving about the new platform and are very excited to start mobile application development for Blackberry 10. In the past few years, many mobile application developers, mobile application development firms and mobile app “experts” have claimed that Blackberry has dropped a lot and taken a back seat to the iPhone and Android platform development and even though all statistics show that to be true, Blackberry still has a strong presence outside of the United States (specifically countries like India) and the demand for Blackberry platforms is not as extinct as it may seem to be in the United States. Many mobile application developers, mobile app development firms and mobile app “Experts” believe that the new Blackberry 10 platform is exactly what Blackberry needs to stay afloat in the competitive mobile application industry and still remain as a valid contender in the United States. Fortunately for Blackberry, there new Blackberry 10 platform has generated enough buzz to get mobile application developers and mobile app development firms excited about developing mobile applications for the Blackberry Platform and tapping into another segment of the mobile application industry which many mobile app “Experts” believe has been neglected in the past few years – the Blackberry App Store. While Apple and Android have been picking up momentum with the introduction of their new Smartphones and growing mobile application marketplaces, Blackberry has slowly seen a decline in popularity/demand for their mobile app marketplace but the Blackberry 10 platform maybe just what is needed to re-energize the once popular mobile application marketplace. One mobile application developer which we recently interviewed stated the following with regards to the new Blackberry 10 platform: “In my opinion, the release of the new Blackberry 10 platform is a do or die for Blackberry; if they succeed and many people hop aboard the Blackberry bandwagon again then they still have a chance for success but if they fail and people do not adopt to the new Blackberry platform then it is safe to say that RIM and Blackberry is in major trouble and the chances for them to remain competitive remain very low. Mobile Applications are what will drive Blackberry and the need to establish a solid mobile application marketplace should be the first priority for Blackberry”. While other mobile app developers, mobile application development firms and mobile app “Experts” do not believe that it is do-or-die for Blackberry, they all do agree that Blackberry needs to something fast in order to remain competitive in the cut-throat mobile application and Smartphone industry. While it is no surprise how quickly Apple and Google were able to capture the Smartphone/Mobile Application development market share in such a fast time, what was surprising is how quickly Blackberry fell behind and did very little to remain competitive until the release of their new Blackberry 10 Platform; hopefully for Blackberry it is not too late for them and they will still be able to remain competitive and have a chance to succeed against the two top superpowers in the Smartphone Application Industry: Google and Apple. 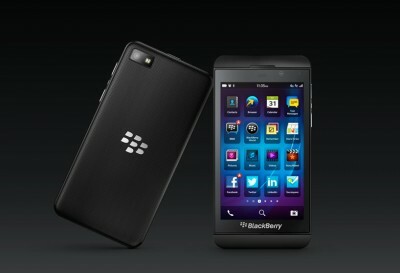 As always, only time will tell but Blackberry certainly has something to be optimistic about going into the future.